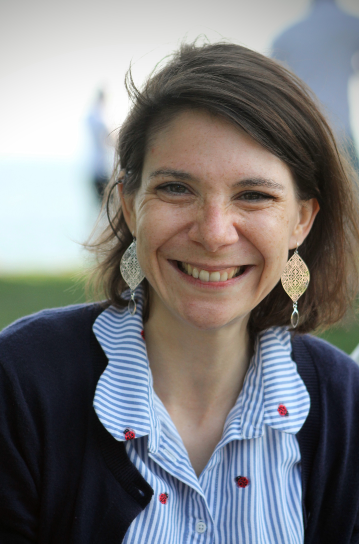 Anne-Claire Michoux is a doctoral assistant at the University of Neuchâtel, Switzerland. Her research focuses on eighteenth- and nineteenth-century fiction, women’s writing, and national identity. She will be speaking about her work at the ECIS Annual Conference on 8-9 June 2018. I would love to have the opportunity to do more archival research but I would have to say the Huntington Library so far. Their art gallery and gardens are wonderful. The Musée d’Orsay. Kedleston Hall in Derbyshire is also worth a visit. Any event which the Duchess of Devonshire attended. Otherwise, I would be really curious to know what it was really to go to theatre at the time. My doctoral thesis examines the construction of British national identity in women’s fiction of the Romantic period, with a particular focus on Jane Austen, Frances Burney, and Maria Edgeworth, whose work has become increasingly prominent over the course of my research. The paper I will present at the conference offers a reading of Edgeworth’s last Irish novel, Ormond (1817), and its negotiation of national identity. Edgeworth’s protagonists often have complicated national allegiances and the eponymous Ormond is no exception: an English orphan, he is raised in Ireland by the Irish landlord Sir Ulick O’Shane, who served in the same regiment as his father. As he embarks on a career as an ‘Irish Tom Jones’, the young Ormond develops as a ‘gentleman’, an issue that many novels in the period also dramatized. It is this examination of the figure of the gentleman that is at the heart of the novel’s positioning of its hero as an Irish and British citizen. I will draw connections to Jane Austen’s Emma (1816) and William Shakespeare’s Henriad to demonstrate Edgeworth’s participation in the debates on the nation in the late eighteenth and early nineteenth centuries.